Sharjah Investment and Development Authority (Shurooq) has revealed that Mantis Collection, the owner of some of the world’s finest boutique hotels and eco escapes, will be managing all hospitality facilities under its ‘Sharjah Collection’ brand. The joint venture was officiated and announced at the 38th World Travel Market (WTM) London that was held in the UK from November 6-8. Shurooq underscored that bringing in Mantis to overlook the management of Sharjah Collection properties reflects a partnership between two institutions that are equally committed to the spirit of conservation and the preservation of local culture and heritage. Mantis’ excellence in the field has been continuously recognised by leading international hospitality awards such as the ‘2017 LUX Best Global Luxury Hotel Group and Excellence Award for Eco-Tourism’; the World’s Leading Luxury Boutique Hotels Collection 2016 and ‘Africa’s Leading Boutique Hotel Brand 2017’ by the World Travel Awards; among several others. Mantis holds the sixth position among the top hotel brands in Africa. The selection of Mantis by Shurooq was made because of their expertise and experience in delivering and managing boutique sustainable hospitality facilities worldwide, with Shurooq saying that they were an obvious choice due to the similarity in the nature and scale of projects that it is building under the Sharjah Collection brand. 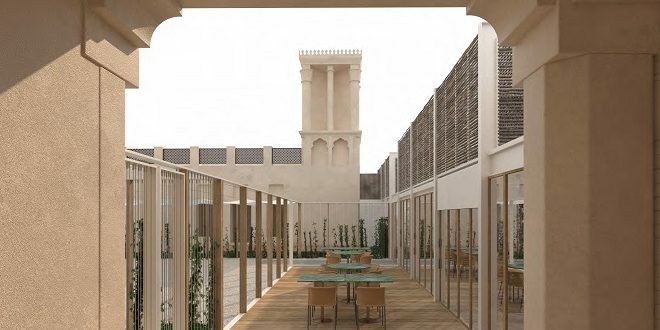 The authority believes that the quality of hospitality and stay options in Sharjah will take a quantum leap forward with the Sharjah Collection. Each property’s setting is unique; ranging from a desert oasis to an archeological site to a mangrove lagoon, and draws from its natural surroundings to offer visitors a memorable stay each time as they discover the diversity of the emirate of Sharjah. The first phase of the Sharjah Collection portfolio of projects comprises four key developments; Kingfisher Lodge in Kalba as part of the Kalba Eco-tourism project, Al Badayer Oasis at Al Badayer desert; Bait Khalid bin Ibrahim in Heart of Sharjah; and the Fossil Rock Lodge at the Mleiha Archaeological and Eco-tourism project. The first of the Sharjah Collection quartet, Kingfisher Lodge, is a five-star property part of Shurooq’s Kalba Eco-Tourism Project, that will feature 20 tents in the lap of Kalba’s scenic settings. During their stay, guests will have the opportunity to nestle within an unspoiled natural habitat inhabited by a rich array of wildlife including kingfisher birds, turtles and reptiles, take kayaks around the mangroves, and enjoy walks along a beach that opens up to the Indian Ocean. Developed over 24,000 square metres, Al Badayer Oasis comprises a camp, a resort, a lodge and a host of restaurants and cafés. Amid some of the highest dunes in the region, the Al Badayer Oasis is a 40-minute drive from the centre of Sharjah. Offering guests a choice between tent and lodge accommodations, the site is a perfect oasis of palm trees, water channels and wildlife in its most natural state. Other facilities for guests include an amphitheatre for live entertainment events, a mosque, tents, shops, kiosks, turrets and parking areas for cars and buses. Designed to resemble a true oasis, the attraction features extensive use of palm trees, as well as bridge-like wooden walkways over water channels and streams. Accommodating up to 10 guests at a time, Mleiha Fossil Rock Lodge is part of the Mleiha Archaeological and Eco-tourism project in Mleiha – a site whose value stems from the fact that it was home to some of the earliest human settlers who inhabited the area 130,000 years ago. The Fossil Rock Lodge provides the very best in accommodation. Created from two 1960s single-story, stone-built buildings, the facility is located close to the UAE’s first petroleum pump, acknowledging the crucial role that oil has played in the creation of the UAE as a modern and dynamic country. Bait Khalid bin Ibrahim in Heart of Sharjah originally belonged to a wealthy pearl merchant from Bahrain. Situated on the Sharjah Creek, the size of the house and its location reflects how Sharjah has always been a strategic gateway to the world. The property has been converted into two 11-key hotels whose aura and comfort reveal authentic Emirati living from back in the day. The fact that it is situated in the region’s largest historical preservation and restoration project lends the kind of simplicity and charm that true cultural tourism demands. “The World Travel Market in London provides us with an ideal opportunity to meet leading travel and tourism industry professionals and the biggest hospitality brands from around the world. This is a great platform for the world to come see the advancements Sharjah is making as one of the Arab region’s key tourist and cultural destinations. This is a big reason to have entered into a partnership with Mantis here at WTM, as it gave us a great opportunity to promote the Sharjah Collection hospitality brand internationally,” said His Excellency Marwan bin Jassim Al Sarkal, CEO of Shurooq. 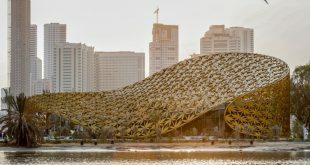 “The Sharjah Collection is one of the newest hospitality enterprises in the UAE and the region, and in its first phase of development, is bringing to life four luxury boutiques and eco lodges. The number of projects under our portfolio will gradually increase, and our scope will expand,” he added. “Mantis has in-depth expertise in managing eco-tourism facilities and boutique hotels. Their worldwide network of diverse handpicked properties, which offer guests the ultimate life experience, was why we chose to partner with them. 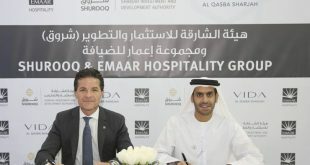 We believe Mantis will bring their unrivalled international standards of hospitality to all four projects under Sharjah Collection, keeping intact the uniquely authentic hospitality of the Emirati community – something that pulls thousands of tourists every year to the emirate” he noted. 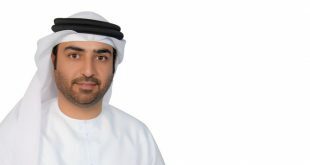 “When Shurooq launched the Sharjah Collection hospitality brand at the Arabian Travel Market in Dubai last April, we recognised the importance of the pivotal role they play in developing the tourism sector in the emirate,” he added. 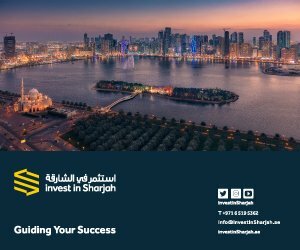 “Our agreement with Shurooq’s important expansion is yet another important project in our portfolio of international ventures. Our strategy for managing the Sharjah Collection will draw from Sharjah’s unique culture and heritage and incorporate their high quality of service,” he underscored. Shurooq launched the Sharjah Collection, the first local luxury hospitality brand at the Arabian Travel Market (ATM) 2017, as part of its ongoing strategy to promote the emirate as one of the region’s leading tourist destinations. The main focus of Sharjah Collection with its lodge and B&B-style properties being developed in Sharjah’s eco-tourism and heritage sites will be to afford its guests unique and distinguished living experiences accented with an authentic taste of Arabian hospitality. Shurooq participates at WTM London as part of the Sharjah delegation led by the Sharjah Tourism and Commerce Development Authority. 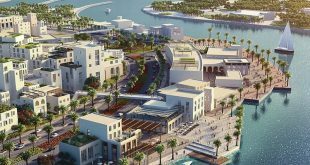 At its stand, the authority is showcasing the latest novelties and developments of its projects, including Al Noor Island and the second phase of Al Majaz Waterfront’s development, which features numerous restaurants and other facilities to enhance the visitor experience. Additionally, Shurooq is exhibiting Mleiha Archaeological and Eco-tourism project’s custom tour offerings. WTM London, which runs from November 6-8 this year, is a stage where a multitude of products and solutions are showcased and a meeting place for experts in the travel and tourism sector in the Middle East. It enhances the region’s share of the global travel market, which is worth billions of dollars at the international level. The previous editions of WTM London hosted more than 51,000 exhibitors and 9,900 buyers. Organisers anticipate that next year’s edition of the event will see a huge turnout of exhibitors from the Middle East. Over its three days the event features more than 80 seminars that cover flights, hotels, weddings, honeymoon plans, culinary arts, sport tourism, responsible tourism, the role of social media and travel technology.